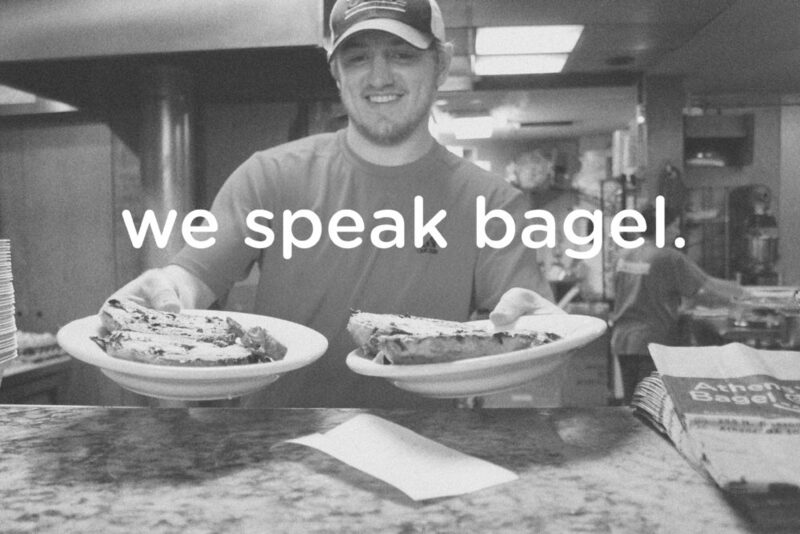 To be your friendly neighbor while serving you, your family, and friends delicious fresh bagels exactly how you like them. Not trying to brag here, but… we’ve won Athens Banner Herald “Best Bagel” 2013-2015, “Best Breakfast” 2014-2015, and “Best Business Lunch” 2014. 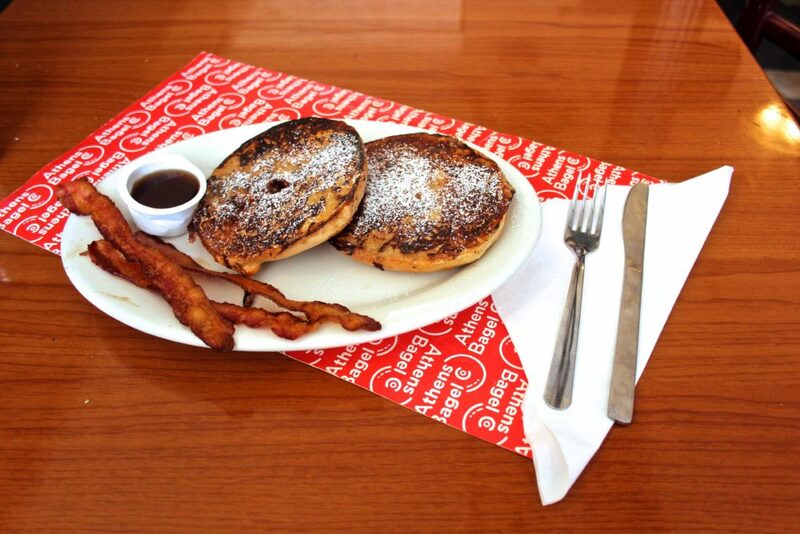 We are proud to serve delicious breakfast and lunch food right in the heart of downtown Athens. The Athens community is near and dear to us, and that’s why we use honey from UGA’s very own bees to make our tasty honey butter spread, sponsor the AthHalf half marathon, and more. We got the town talkin’. 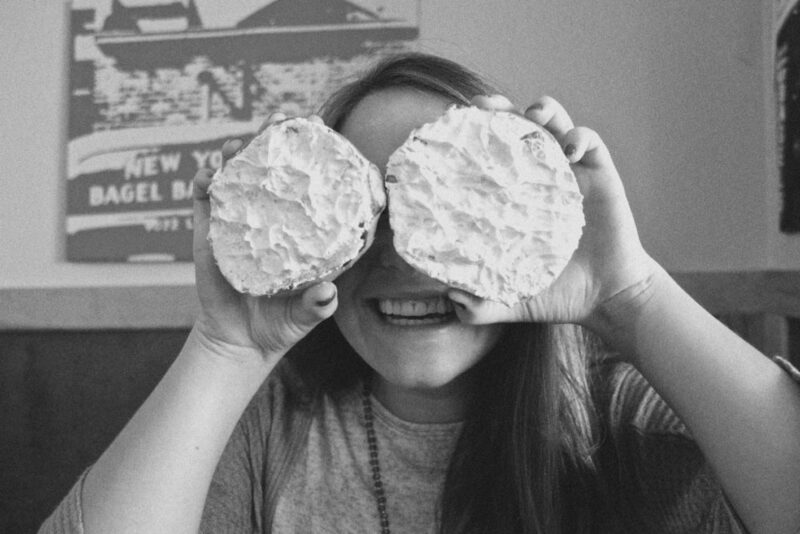 These bagels are life changing. Hands down best bagels in town! So good. It’s a great place to grab a quick breakfast. 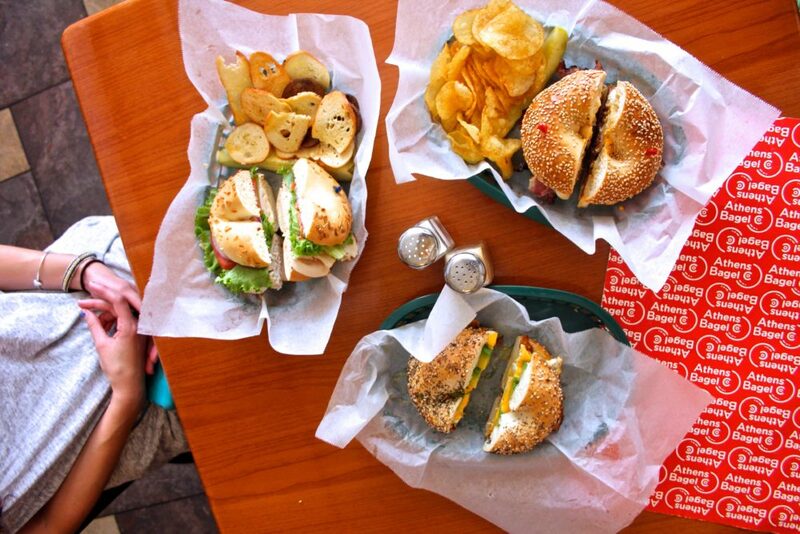 Awesome bagels. Reminds me of a NYC bagel shop. Huge variety of bagels and spreads. 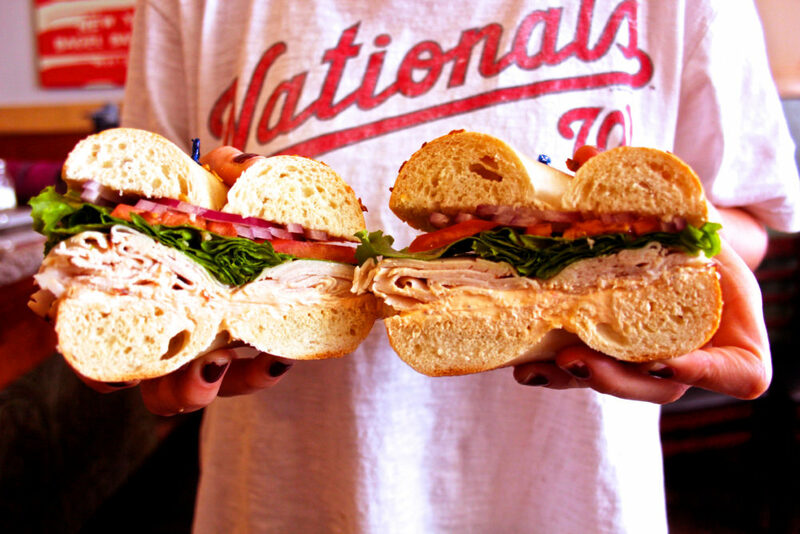 Best hot bagels, fresh ingredients, and excellent service. © 2017 Athens Bagel Company. All Rights Reserved.